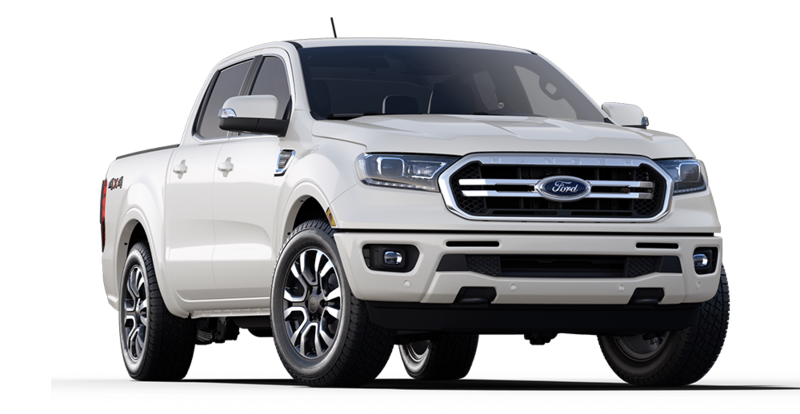 The Ford Ranger is back and more capable than ever with a Built Ford Tough attitude that is ready for any adventure you throw the midsize truck’s way. Ford Engineers have done everything in their power to make sure the Ford Ranger will perform in every terrain possible. It is equipped with double A-arm independent front suspension allowing for a nimble and highly controlled off-road experience. The rear suspension complements the front nicely with parabolic leaf springs that further increase maneuverability and flexibility. The 310 ft-lbs Best-in-Class Torque provided by the 2.3L EcoBoost engine will allow you to climb the steepest of obstacles with ease. The 250 horses and 10-speed SelectShift aid in allowing for the smoothest ride both on and off road. Best-in-Class MPG is what really completes the package made possible by direct injection and Auto Start-Stop Technology. The Ford Co-Pilot 360 driver assist technologies will aid in daily driving to boost confidence and safety. Included in the Ford Co-Pilot 360 are lane-keep assist, Adaptive Cruise Control and Forward Collision Warning, Cross-Traffic Alert, and Rear Camera View to name a few. The Sync 3 interface features an 8” intuitive touch screen to control all your favorite Apple CarPlay and Android Auto features to entertain all of your passengers. The 675 watt, 10-speaker, Bang & Olufsen premium audio system will get everyone grooving to their favorite jams as you cruise to your next adventure.